I guess, like everyone else, my musical influences come from my childhood. My dad has always been an avid collector of music and I grew up amongst an impressive collection of vinyl ranging from The Beatles to Waylon Jennings. My dad would also have what I call his “fad” stages whereby he would listen obsessively to a particular artist or genre. We went through weeks of Dusty Springfield, Frank Sinatra and lots of classical. It got to a point where some of the enjoyment went out of it. As a child of the 70’s I was into ABBA and Blondie. I loved putting on a record and dancing round the living room singing, pretending to be Agnetha or Debbie. Two very different bands with very different sounds, I still love them both today. After Wham! along came Madonna. My uncle bought me the Like A Virgin album when I was about 11 or 12 and I listened to it obsessively. She was someone I wholly admired and looked up to. Madonna represented what it meant to be a truly independent woman, totally in charge of her own destiny and she didn’t seem to care what the haters thought or said. If anything, I think it drove her ever onward. My love affair with her music however, ended on 11/09/08 at Wembley Stadium on her Sticky and Sweet Tour. I had waited 23 years to see her live and it was a massive disappointment. There was no atmosphere, she didn’t engage with the audience very well and relied far too much on backing track to support her vocals. I never bought another Madonna album again after that. By comparison, Belinda Carlisle who I’ve followed since the mid-80’s is excellent live; I’ve seen her twice. She doesn’t need to put on a theatrical extravaganza, she’s a great singer, engages with the audience and I love her music. The only downside is that she relies heavily on other songwriters. In 1985 I watched what was then a ground breaking music video for a song entitled “Take On Me” by an unknown band from Norway called A-Ha. That was it, raging hormones channelled themselves into full obsession mode and for the next three years I covered my bedroom wall in posters, played their albums incessantly and travelled to Bournemouth and Brighton to see them twice on the Stay On These Roads tour. The sight of Morten Harket’s beautiful face was enough to send me into a lather and there was nothing more the 15-year-old me wanted than to marry a man almost twice my age. Thankfully, the passage of time have lifted the rose-tinted glasses from my eyes and from what I know about him now I doubt we’d be very compatible! The early 90’s brought me into contact with the Rave scene. It was still very much an underground movement then, lots of raves were organised through word of mouth and flyers that were only available in specialist music shops. For two years I frequented Sterns in Worthing, worshipped DJ’s instead of musicians and dressed like an idiot. I say that now because I loved the music but baggy jeans, big trainers and baggy tops with “Joe Bloggs” emblazoned across them marked me out as anything but stylish. The commercialism of Rave is what put me off it; it no longer felt like our secret. Rave was getting into the charts and being played in chain nightclubs. Beered up lads were more interested in causing fights and hitting on girls instead of getting onto the dance floor. The commercialism killed off the movement so I’m glad I was a part of it when it meant something. After that my musical tastes meandered somewhat throughout the 90’s. I was into Alanis Morisette for a while, revisited Madonna and then discovered Oasis who I had always resisted until Wonderwall changed my mind. I never went to see them live but I did love their music and I credit Oasis as being the band that took me on the road to rock music. In the late 90’s I discovered Garbage who are still one of my favourite bands today and after about 20 years I’m finally going to see them in the summer which I am excited about. 2003 was a seminal year for my musical journey as it was the year I discovered Muse. Absolution was the album at the time (it’s my favourite Muse album of all time) Hysteria was on the radio and their popularity was growing. The unfair comparisons to Radiohead were still prevalent but not being very familiar with the latter I didn’t really care. Here was a band whose music got me through a very dark stage of my life. Of course, this doesn’t mean I’m blinkered to other talents. I love bands and I love music. In the last few years I’ve discovered Anathema, Interpol, Nothing But Thieves, The Pretty Reckless, Evanescence and The Nearly Deads. One of my favourite albums is Violator by Depeche Mode. I have Elle King, Pink Floyd, Ella Fitzgerald and Queen in my collection. My boyfriend is a musician and I get to see his own progress with the bands he is in; Threshold, Nightmare World and his own band My Soliloquy. I recently submitted a short story to a writing competition. The scenario for it popped into my head when I was listening to the Interpol self-titled album. Two tracks, Lights and Always Malaise were my inspiration for that story and I feel it’s the best one I’ve written so far. So, other than sharing my love of music I would also say to anyone who maybe struggling to write or suffering from a little writer’s block: turn on the stereo, put on one of your favourite CDs, settle into a comfortable space, let the music wash over you and your mind will do the rest. PS – I say CD because I am a strong supporter of musicians and do not agree with piracy in any form. I purchase my music, musicians have earned that right and they should not be expected to work for free. So, where have the last few months disappeared to? The 8th & 10th April marked the 1 year anniversaries of my last day working in London and the day I relocated to beautiful Lincolnshire respectively. A move I wish I’d made years earlier. Nothing beats the quality of life leaving the Big Smoke has given me. Our gorgeous cat, Sophie, has also been poorly with feline cystitis recently so there have been a fair few visits to the vet. 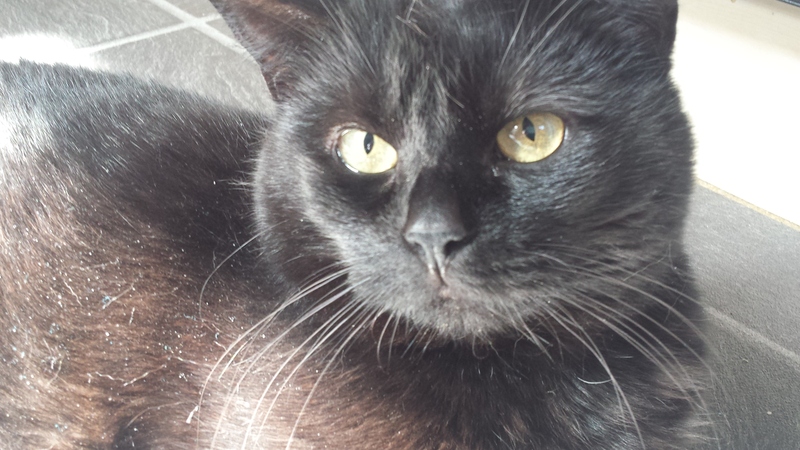 Being vision impaired and quite a nervous little thing she gets stressed quite easily and ends up with cystitis. We need to be very mindful of her needs a nd it’s distressing as her carers when her mood and general disposition are obviously low. She’s not the most interactive of cats, preferring food and sleep. Her vision problems mean she’s also prone to weight gain as there has been little or no exercise in her life. We do try but again, she’s quite lazy and bores after about 30 seconds of play! Despite all this though, she’s very much loved and we do whatever we can to provide her with a comfortable, safe environment. In March, I joined up as an Ambassador for Tropic Skin Care. I decided it would be a fab way of meeting new people, gain some extra income and as the products are so amazing (cruelty free, naturally plant based and British made) I was hoping it would be something of a walk in the park. I have been proven very wrong on that count however. Trying to get people interested has been like trying to convince someone in need of a root canal to forgo the anaesthetic! I get a little bit of interest but it just fizzles out. Other than wrestling people to the ground, I am rapidly running out of ideas on how to get my little side business up and running. 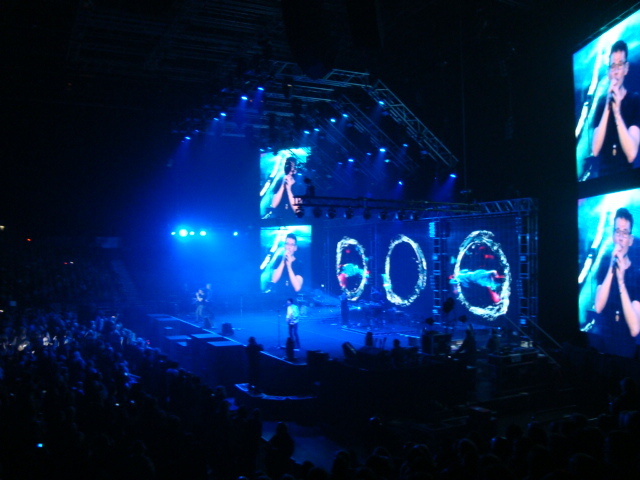 On Tuesday, 29th March, I took my boyfriend to see A-Ha perform at the Barclaycard Arena in Birmingham. I had been something of a fangirl back in the 80’s but hadn’t listened to A-Ha since Stay On These Roads. My boyfriend, however, is a loyal, lifelong fan so I bought the tickets as a birthday gift for him. It was such a fantastic gig, we had great seats and for me it was fab to see them 28 years after seeing them live as a 15 year old screaming teenager! Morten Harket looks pretty amazing for 56 and the band put on an excellent show. I’ve decided to update my back catalogue and rediscover my old favourite band. I am super excited, however, for Monday 11th April. As I will be travelling down to the O2 in London to see my all time favourite band, Muse. It will be my 9th Muse gig and I’m as excited to see them now as I was the first time back at Wembley in 2007. So, last week after a couple of months of neglect and trying to write the odd paragraph here and there I finally knuckled back down to the book. Chapter 18 is pretty much complete and chapter 19 is taking shape nicely. I have to remind myself that this is only the first draft and that there will be opportunities for tweaking, rewriting and editing later. I will also find some beta readers to provide critique at some point but as my story is now two thirds of the way through I want to get it finished. One success I’ve had recently is the exposure and response to my short story “Grey Ice” on Scriggler. It’s had over 1,200 views, received some lovely comments from readers and was chosen as the Story of the Day on 29/02/16. I felt amazingly validated as a writer and hope that my next short story will be just as well received. This of course , depends on how it fares in the Mslexia Short Story Competition 2016. If it doesn’t succeed I will publish again via this blog and Scriggler. So, keep those fingers crossed for me!